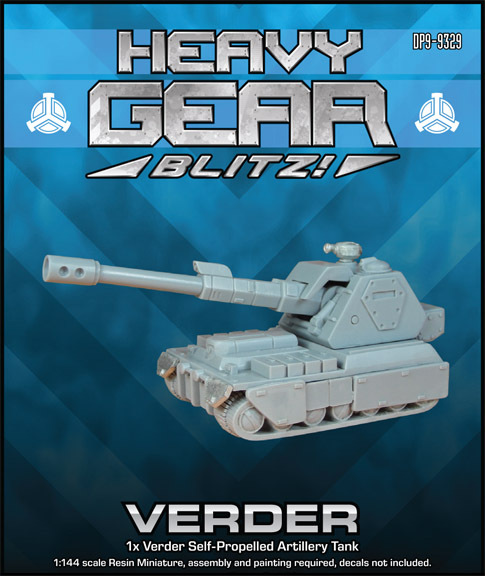 The Verder Self-Propelled Artillery Tank, which is a new tank option available in the Lion's Wrath - Northern Army List, is now available to order on the Dream Pod 9 Online Store. We have given the Verder the option to order up to 3 additional Verders at a special price. Plus we have updated the Tiger Two Pack to now include all the variant weapons (MAC, MRP/9, MBZK, LBZK, HRF, and HAC) available in the new Northern Army List, it also still includes the Sabertooth head and DPG. For those who just need a single miniature we now have a Tiger Single Pack with all its variant weapons and a Sabertooth Single Pack with its variant weapon. Here is a link to Northern Miniatures Section of the Dream Pod 9 Online Store for all those interested, and remember our Lion's Wrath Sale is still on until the 2nd July, so get your Northern Army orders in ASAP.